It used to be that the only predictable thing about my insomnia was that it occurred at times of high drama. Anticipation of a trip to the Canary Islands? Nothing like a little excitement to keep me awake at night. Difficulties with a colleague at work? Stress, too, was a set-up for trouble sleeping. Whenever my life got the least bit interesting or challenging, sleep went south. But sleep is easier to manage now that I’m able to see more patterns in my insomnia and the insomnia of others. Bedtime for Brianna: Get It Right! A new study examines the relationship between melatonin secretion and children’s sleep patterns. Early bedtimes set by parents can backfire, putting children at risk for insomnia. 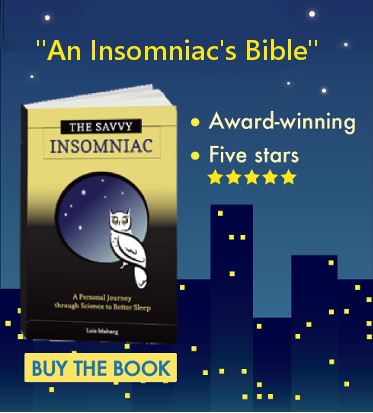 Insomnia: Is Mum Still the Word? 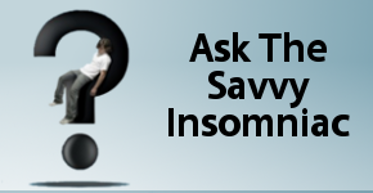 Is there a stigma attached to insomnia? Is it regarded in the same way as psychiatric disorders were regarded in the past–and are seen by some yet today–as something to keep quiet about for fear of others making negative assumptions about your habits and soundness of mind? I revisited this issue over the weekend as I was responding to questions from Dr. Laura L. Mays Hoopes, a biologist and writer who has read my book and is interviewing me for her blog.